- Our Partner ActiveQuote will help you compare the best health plans for your needs. Insurance quotes are shown in price order, cheapest first. You should also compare the benefits of the policies shown to make sure the insurance covers all your needs. Health Insurance, or Private Medical Insurance (PMI), allows you to gain access to hospital treatment quickly. Depending on the level of cover chosen. Once you have been referred by your GP you may be able to choose which hospital you get your treatment from and can normally be seen quicker than on NHS waiting lists. Private hospitals may also offer more comfortable accommodation to patients, who are likely to be housed individually in private rooms. A health insurance plan or PMI is a policy taken out by an individual to help them pay for medical expenses should they require treatment. Depending on the policy, it may pay the costs of most in-patient treatments (where you stay overnight in hospital), such as tests and surgery, and day-care surgery (where you might have a procedure performed and leave hospital on the same day). It may also extend to out-patient treatments (treatments given at a hospital or a clinic where you do not need to go in for in-patient of day-patient treatment), such as specialists and consultants. Budget health insurance - usually covers in-patient treatment (where you stay overnight in hospital, diagnostic tests, consultation fees) and some out-patient treatments (given at a hospital or a clinic where you do not need to go in for in-patient of day-patient treatment). Comprehensive health insurance - usually covers full in-patient treatment, out-patient treatment, scans such as magnetic resonance imaging (MRI) used to diagnose health conditions that affect organs, tissue and bone, computerised tomography (CT scans or CAT scans) which use x-rays and a computer to create detailed images of the inside of your body. It usually includes expenses for extras such as psychiatric treatment, dental treatment, chiropody, optical treatment, physiotherapy, chiropractic treatment, osteopathy, recuperative care, home nursing, and hospital stays. Important to note only acute conditions (capable of recovering from) are covered, but chronic conditions are not covered. Who is health insurance suitable for? Health care cover may be suitable for people who don't want to rely on the NHS for their medical treatment, or those who want to make sure they can be treated as quickly as possible if they need hospital treatment. Choice of surgeon or doctor. Choice of hospitals. All insurers will have a list where you can be treated. A comprehensive policy may include extras such as dental treatment, optical treatment, etc. What health insurance does not cover? GP services and overseas treatment are sometimes not included. 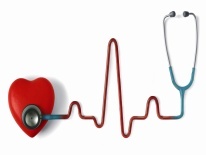 pre-existing medical conditions and treatment you know you're going to need. These are health conditions you are aware of at the time of taking the policy. You'll need to disclose these fully when you apply to ensure your whole policy is valid. long–term medical conditions which are likely to continue to need regular or periodic treatment. HIV/AIDS, routine pregnancy, fertility treatment, mental or psychiatric conditions, and treatments you may choose to have, such as cosmetic surgery. Tell the truth when making a health insurance application. If you lie or with-hold information, any claim you make in the future could be rejected or worse still your policy be in-validated. You may be able to keep the cost down by opting for a higher excess amount (which is the amount you have to pay towards the hospital bill which is covered by the policy), or by choosing a lower level of cover. Cheap health insurance helps you leapfrog long NHS waiting lists and get a guaranteed appointment with a top consultant as part of your cover. Compare health care plans with a dedicated adviser from ActiveQuote. If you're interested in taking out a cheap health insurance policy, it's important to make sure you choose the right level of cover at the right price. There are many reasons to choose private health care, but most people just want peace of mind, to know that they will get the best level of care possible, quickly and that they will be financially protected should the need arise. Will I need to wait before I can make a claim? Yes. If you have only recently taken out a health policy a waiting period of between 2 and 12 months will apply. I have a pre-existing health condition, will this affect my eligibility for cover? There are some pre-existing health conditions such as heart disease or cancer that can make it more difficult to get accepted for a new health insurance policy. You won’t be covered for any pre-existing conditions. What is day patient treatment? Day-patient treatment is where you might have a procedure performed and leave hospital on the same day. Can I change insurers if I find a better deal? There is no reason why you can't change insurers if you can get the same cover you require for a better price, however be aware that a brand new policy with a new provider may enforce a waiting period before you can make a claim. Remember that the policy will usually stipulate a contract of at least 12 months. Do I need to provide my full medical history? Yes, some providers will ask you to provide details of your medical history when you make an application. The reason for this is to determine whether you have had any pre-existing medical conditions that may affect the price and terms of your policy. There is no upper age limit for taking out a new policy, but your age may affect the cost of the policy. How do I renew my health care cover? Your contract for cover will normally be for a period of 12 months. It is common practice for the insurer to auto-renew your annual policy, by contacting you in writing about 21 days before your renewal date. If you decide at that time to end your cover, you will need to let them know to cancel the policy. Why has the price of my cover increased? If you make a claim or number of claims for treatment. The cost of rising medical treatments. As you get older, policy prices get bigger. The content of the site is for information purposes only and does not constitute advice under the financial services authority regulations. While we take every care to ensure the information we provide is correct and up-to-date, please always check with the provider before committing yourself. The website and articles featured here provide links to third party websites. Please seek independent advice before considering any type of insurance services product. Actual available rate will depend upon your circumstances.